Jane Doe’s body was removed from the vacant lot on Norton and taken to the Hall of Justice where she was fingerprinted and autopsied. Artist Howard Burke sketched an idealized version of the young woman—the reality of her condition was too awful for them to print in the Examiner; although they did print a photo of her body in situ. The only way they could print a picture of the crime scene was by manipulating the photo to remove the mutilations to her face and adding a blanket to cover her. Captain Jack Donohoe, head of LAPD’s homicide department, was understandably in a rush to identify the woman. Her killer had the advantage of several hours, but to give him, or her, more time to escape could be disastrous. It should have been a simple thing to get Jane Doe’s prints to the FBI in D.C., but the weather back east was conspiring against the detectives. 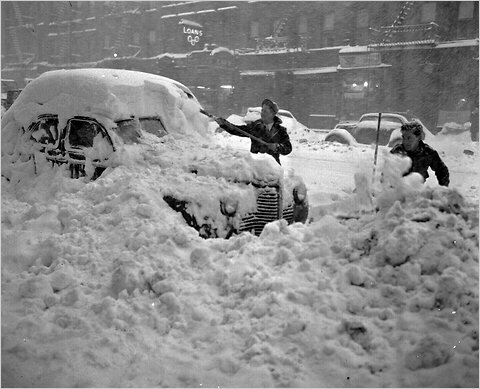 Blizzard of 1947. Associated Press photo via Baruch College, CUNY. Normally fingerprints prints were flown to the FBI but a blizzard grounded aircraft in the East. If cops waited for the weather to clear, identification could take as much as a week. Seven days is an eternity in a homicide investigation. 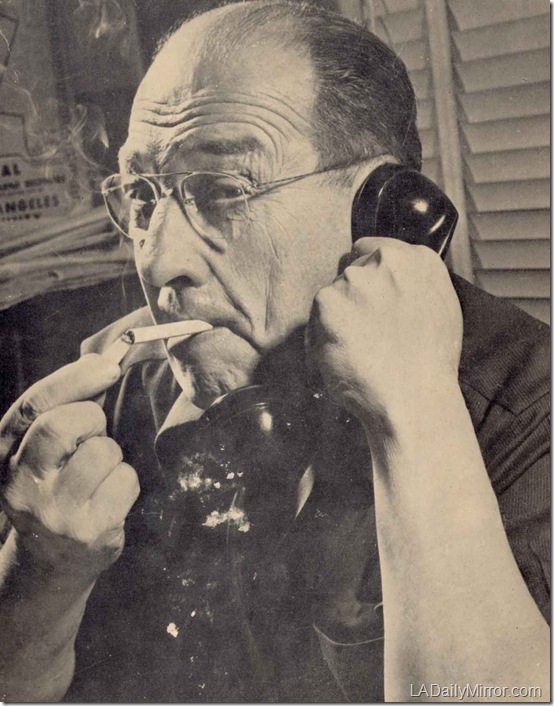 In the 1940s the press and police had a symbiotic relationship which served them both well. Without access to planes the LAPD’s investigation was at a standstill. But, luckily, they could rely on William Randolph Hearst’s resources. The Examiner had a Soundphoto machine which could be the solution to the conundrum. It might be possible to transmit the fingerprints to the FBI via the precursor to the facsimile machine. Of course the newspaper expected a quid pro quo—an exclusive. With the clock ticking, Capt. Donohoe reluctantly agreed. Sending fingerprints over the Soundphoto machine had never been tried before, but it was worth the effort. To everyone’s amazement and relief the prints, after a couple of minor glitches, were successfully transmitted to the FBI. It didn’t take the bureau long to identify the dead woman as Elizabeth Short. The last address the agency had for her in California was in Santa Barbara. Santa Barbara police arrested the Massachusetts native in 1943 for underage drinking. She was sent home to her mother Phoebe. Now that the dead girl had a name the Examiner’s city editor, Jim Richardson, assigned re-write man Wayne Sutton to break the news to her mother Phoebe. Sutton was not thrilled when Richardson instructed him to lie to Phoebe. Richardson wanted her to believe that her daughter won a beauty contest. It was only after Sutton had pumped her for information on her daughter that he was allowed to deliver the news of her tragic death. Phoebe Short. Photo courtesy LAPL. It may have been shock that kept Phoebe on the line after hearing the worst news of her life. Sutton learned from Phoebe that Elizabeth recently stayed in San Diego and she gave him the address. Sutton told Phoebe that the Examiner would pay her fare to Los Angeles. The paper needed to keep Phoebe close so they could explore leads and milk her for further information on her murdered child. Examiner reporters were dispatched up and down the coast from Santa Barbara to San Diego to glean whatever they could from interviews with police and anyone else who may have come into contact with Elizabeth. While reporters were out searching for information, the Examiner received an anonymous tip that Elizabeth had kept memory books filled with photos and letters. The books were allegedly in a trunk that was lost in transit from the east. Reporters from the Examiner went to the Greyhound station in downtown Los Angeles. There wasn’t a trunk, but there was a suitcase and some bags. Robert “Red” Manley. Photo likely taken by Perry Fowler. Courtesy LAPL. A small suitcase turned out to be a treasure trove of photos and letters which offered some insight into Elizabeth’s life. There were letters from soldiers, and letters that Elizabeth had written and never sent. There were photos of her on a beach, and with various men in uniform. Might one of them be her killer? Examiner reporters in the field received copies of some of the photos which they then showed to clerks at hotels and motels in the hope of finding anywhere the dead woman had been, and with whom. The reporters discovered that the last man to have been seen with Elizabeth was married salesman, Robert “Red” Manley. Red and Elizabeth stayed the night in a motel on their way from San Diego to Los Angeles. Red’s name was printed in the Examiner as a person of interest in the slaying. Red may be a valuable witness–or he may be a killer. NEXT TIME: A suspect is arrested. Jane Doe’s body was removed from the vacant lot on Norton and taken to the Coroner’s Office in the Hall of Justice where she was fingerprinted and autopsied. Artist Howard Burke sketched an idealized version of the young woman—the reality of her condition was too awful for them to print in the Examiner; although they did print a photo of her body in situ. The only way they could print a picture of the crime scene was by manipulating the photo to remove the mutilations to her face and adding a blanket to cover her. Captain Jack Donohoe, head of LAPD’s homicide department, was understandably in a rush to identify the woman. Her killer already had the advantage of several hours, but to give him, or her, more time to escape could be disastrous. It should have been a simple thing to get Jane Doe’s prints to the FBI in D.C., but the weather back east was conspiring against the detectives. Normally Elizabeth’s prints would have been flown to the FBI but a blizzard had grounded aircraft in the East. If cops had to wait for the weather to clear identification could take as much as a week. Seven days is an eternity in a homicide investigation. 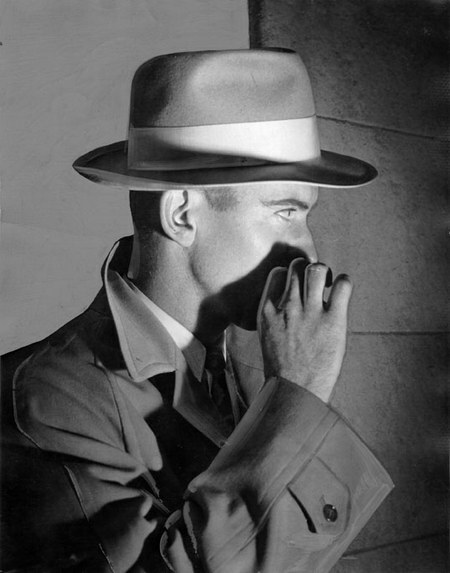 The symbiotic relationship between the police and the press that existed in those days made their next move possible. Without access to planes the LAPD’s investigation was at a standstill. But, luckily, they had William Randolph Hearst’s resources to rely on. The Examiner had recently acquired a Soundphoto machine which could be the solution to the conundrum. It might be possible to transmit the fingerprints to the FBI via the precursor to the facsimile machine. Of course the newspaper expected a quid pro quo—an exclusive. With the clock ticking, Capt. Donohoe reluctantly agreed. Sending fingerprints over the Soundphoto machine had never been tried before, but it was worth the effort. To everyone’s amazement and relief the prints, after a couple of minor glitches, were successfully transmitted to the FBI. 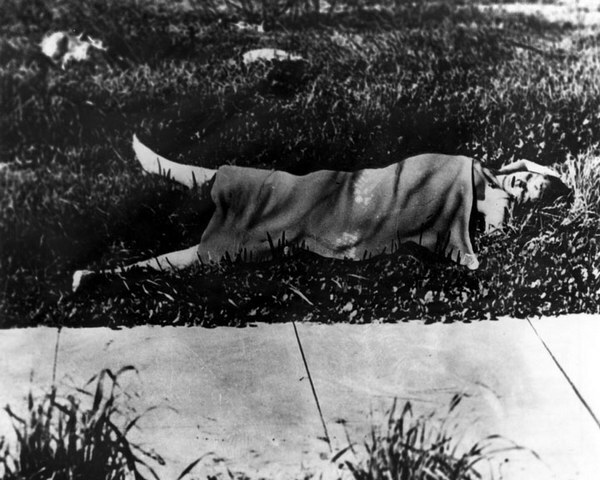 It didn’t take the bureau long to identify the dead woman as Elizabeth Short. The last address the agency had for her was in Santa Barbara. Santa Barbara police had arrested the Massachusetts native in 1943 for underage drinking. She had been sent home to her mother Phoebe. Now that the dead girl had a name the Examiner’s city editor, Jim Richardson, assigned re-write man Wayne Sutton to break the news to Phoebe. Sutton was less than thrilled when Richardson instructed him to lie to Phoebe. Richardson wanted Phoebe to believe that her daughter had won a beauty contest. It was only after Sutton had pumped her for information on her daughter that he would be allowed to deliver the news of her tragic death. It may have been shock that kept Phoebe on the line after hearing the worst news of her life. Sutton learned from Phoebe that Elizabeth had recently stayed in San Diego and he was given the address. 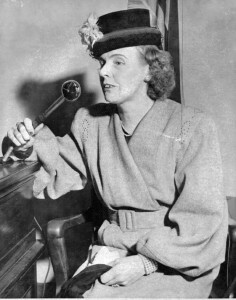 Sutton told Phoebe that the Examiner would pay her fare to Los Angeles. The paper needed to keep Phoebe close so they could explore leads and milk her for further information on her murdered child. While reporters were out searching for information, the Examiner received an anonymous tip that Elizabeth had kept memory books filled with photos and letters. The books were allegedly in a trunk that had been lost in transit from the east. Reporters went to the Greyhound station in downtown Los Angeles. There wasn’t a trunk, but there was a suitcase and some bags. The reporters discovered that the last man to have been seen with Elizabeth was married salesman, Robert “Red” Manley. Red and Elizabeth had stayed the night in a motel on their way from San Diego to Los Angeles. Red’s name was printed in the Examiner as a person of interest in the slaying. Red could be a valuable witness. Or he could be a killer.